Under the Universal Law of Request, before you can get any help, you need to ask for it. You have free will and you must ask for help before any help will be given to you. No angel or Higher Being of Light will interfere in your life. Interference stops you from becoming stronger and from learning. Angels and higher beings will not interfere with your choices or with your life. But you can and should ask for help when you feel you need help. Do not be upset, do not demand, do not bark orders and do not blame anyone when making your request. Do not throw a tantrum like a baby when the baby does not get what it wants when making your request. Be cool, calm, centered and with love and gratitude ask for the help you need. The help will most likely not come with an answer to your question in the form of dialogue. The help may come from something a friend or colleague says. It may come from a book of web site you have been guided to. For example, everything that I have done since I have been awakened has been guided to me, the web sites, the friends, all of it. I am constantly guided because I constantly ask for help. And when you get the help and support you requested, show gratitude and appreciation. Thank the angels and guides for leading you in the right direction and for their guidance. Also, it is important that you do not rush in and try to help others if you feel they need help. Do not throw your views on them and tell them that they should be doing this or that or that they should be doing something different just because you believe that is the correct path. If they ask for your assistance, then it is definitely OK to give an opinion, but do not force yourself and your views on them. Allow them to grow themselves and to experience their own growth. By pushing yourself onto others, you are in essence helping to prevent them from sorting the situation out for themselves which may hinder their learning process. This can create karma for you if things go wrong. If you feel bad about a situation that a friend or loved one has got themselves into, that is your stuff. What may seem bad to you is just the growth that the person is developing and learning. Be happy for your fellow classmate on this Earth School. Remember we are all here on Earth to grow, to learn and to develop and there are no bad choices. Each choice presents different growth and learning opportunities. If you feel you need to keep butting into people’s business, your own growth opportunity and lesson may be to stop butting in. This is especially true if nobody requested your help. You need to look at yourself rather than rescuing other people in that case. If they request your help and you offer it, then it is different. If you keep bugging that person and offering help and advice without their request, that person will know it upsets you and this may be their way of punishing you and pushing your buttons. This will cause them to be serving you by bringing up some of your stuff. So don’t do it. Again, unless someone requests your help, do not help. Unless of course it is a life and death situation, say stopping someone from drowning or pulling someone out of a burning car in an accident. Wait until there is a request for help. The learning and the experience from that situation, regardless of how hard it may be for you, may just be what that person needs for their growth and development. It is not your job to be their savior or rescuer. Allow the person to learn and to be stronger. When you ask spirit for help, you are ready to receive it. Look for their response. Because when you are truly and genuinely asking for help from your angels and guides, then you are in a position to accept the wisdom that goes with it. You will then see and feel that the higher powers will align themselves to help you. But remember to be polite and courteous and always have compassion and gratitude when making your request. Do not be crying out wanting answers to one question after another. Do not be bossy and get upset that you are not getting a response. These are demands rather than questions. Your request must come from a place of openness and a centered position where you are ready to receive. It should not come from a place of neediness or desperation or frustration. Always go within for any answers that you seek. Meditate on the question that you are asking and know the answer will come for you. You must always in a gracious and compassionate way make the request. 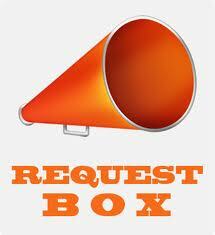 Making the request in this way shows that you are ready to receive. To make the request, center yourself and quiet your mind and meditate on what you really want and the clarity will come as to the answer. Look for the answer. Also, the more clear your question, the greater the help you will receive. The angels, the guides and The Universe is always waiting to help you. But all you really need to do is ask and request for the help in a heartfelt gratitude way. It does work, it has worked for me and it will work for you. So go ahead, make your request and see how your life changes!! This is such great advice. I think that depending on a readers view point/perspective, it could be taken out of context though. For example. I already knew the large part of what is being offered here, however I yesterday I WAS completely screaming my lungs out because I WAS cross and upset about something that has been constantly upsetting me for most of my life, however my intention was NOT to ask for help. I was just having an upset moment. Letting off steam so to speak. It really helped. But yes I was shouting to myself while out of ears shot to anybody else. It really helped me as today I feel a lot better. I’ll ask for help when I intend to ask for help and when I do, I will be calm. This entry was posted on April 27, 2013 by Andrew Bojarski in Andrew's Posts and tagged Arch Angels, Ascended Masters, Ascension, Awakening, Chakras, Channeling, Energy, Energy Healing, Healing, Higher Self, Love, Meditation, prayer, Spirituality, Testimonials.